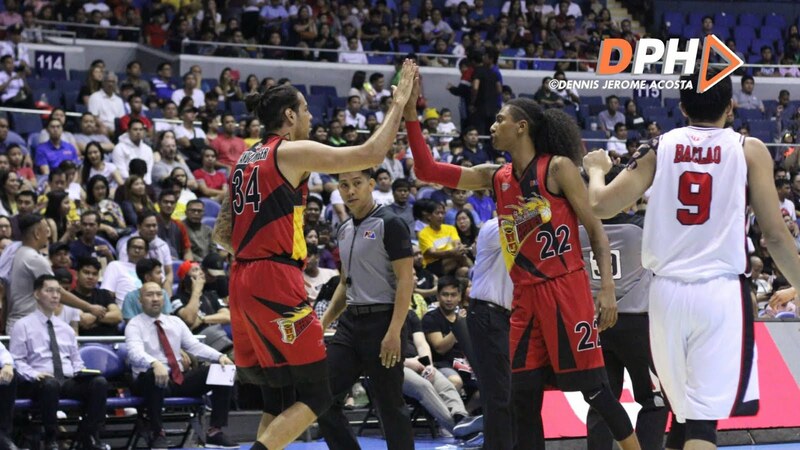 SAN JUAN, MM—San Miguel came alive in the second half to blast Alaska, 114-96, in the PBA Philippine Cup at the Smart Araneta Coliseum in Quezon City on Sunday night. The Beermen went for 69 points in the final 24 minutes while only giving up 46 Aces points to complete the blowout. Alex Cabagnot sizzled from the field and put up 31 points on 13-of-20 shooting with four rebounds, one assist, and one steal for SMB, which is now assured of a Top 6 finish with a 7-4 record. Being in the Top 6 after the eliminations means evading the quarterfinal handicap in which only one loss will knock the team out. Chris Standhardinger added 23 points on 10-of-15 shooting, seven rebounds, one assist, and one steal off the bench. Junemar Fajardo (13 points and 10 rebounds) and Chris Ross (14 assists and 10 points) each notched double-doubles. Chris Banchero put up 22 markers, four boards, five dimes, and one swipe for Alaska, which fell to 4-6 and now needs to beat NorthPort, 109-83 winner over TNT in the first game, on Wednesday night back at the said venue to keep its quarterfinal hopes alive.